Why?Susan Wiggs is a favourite author and I have liked and loved every contemporary fiction book she has written, so it was an auto-buy for me. Plot?This is the story of so many, mainly that of Camille and her daughter Julie. But also Julie’s father and his grandparents. Camille is an expert photographer but since the death of her husband five years ago she has not lifted a camera. Her daughter Julie a young teen is going through a tough time with some very overt bullying happening to her. Onto the scene comes Finn, who seeks out those who are lost – mainly soldiers and brings them home. He has a special mission to find his father. What Appeals to Me?I loved the characters, yes Camille was a little prickly, but five years isn’t that long in the scheme of things so its understandable she hasn’t quite moved on. I liked her story and that of Julies as they let go and move on. I loved the small vignette WW11 story and the outcome from that. And of course it was delightfully set in both the east coast of the USA and Provence, France. Loved the writing too. Such an appealing read all round. And so… the next Susan Wiggs book will of course be an auto-buy! Why? I had a bit of spare reading space and was perusing Amazon and when I saw this one I clicked! Eloisa James right! Plot? This one is set in Georgian times, when they wore wigs and powdered their hair and the women wore very low cut dresses! Alaric is the hero and Willa the heroine. They are pretty much their own persons and don’t worry too much about wigs and powder. He is back from big adventures, is a writer and very popular with the ladies. What follows is a love adventure with an evil killer thrown in and a skunk who knows when to leave a stink. What Appeals to Me? Well written and fun. Light and warm mostly. I haven’t met a pet skunk in a book before, plus the plot moved along well and was rather unique. Also there is a large Wilde family and plenty more stories to be told. It ends with a cliff hanger for one of the brothers – North and its sure to deliver. And so… Sighting next book in series – Too Wilde to Wed which promises to publish about May 2018. Why? 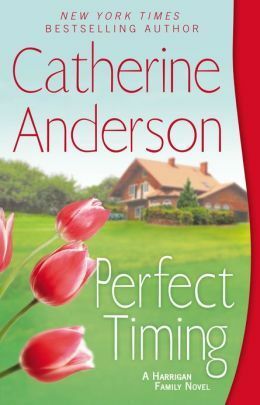 Well Catherine Anderson is pretty much an auto-buy for me and when I need a really good comfort read, I can always rely on her to deliver. Plot. This is the story of 1) Tanner who is about 78 and living in an assisted apartment while he heals from a fall. And the woman who runs the place is a dragon. 2) Crystal his grand daughter who is keeping the home fires burning while her grandfather is in care. She is looking after his dog who is a total handful. Somehow she has a young kitten on her plate as well. 3) And then there are a couple of love interests and a small bit of mystery thrown in. What Appeals to me. I liked the two sets of couples – one younger and one older – both full of wisdom and emotion. I liked Rip – the unforgettable dog, and feel good emotional story. And so… The next Catherine Anderson book can’t come soon enough! An auto-buy. 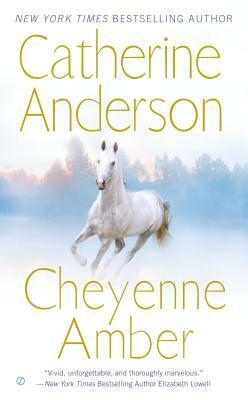 There is a lovely interview with Catherine Anderson on Goodreads about this her latest book. Widow Maddie McLendon has uprooted her life to move to Rustlers Gulch with her son and grandson. But as a brutal Montana winter looms on the horizon, contractors have yet to break ground on their new house, leaving them to live in a makeshift camp of trailers, tents, and sheds…. Since his wife died six years earlier, millionaire rancher Sam Conacher has been content to wallow in his grief alone, while keeping a tight rein on his twenty-six-year-old daughter. But now the girl has gone and fallen in love with his foolish new neighbor’s no-good son…. Cam, his son Caleb and mother Maddie have arrived in a town in Montana and set up on a parcel of land where they intend to build. In the meantime home is a tent and caravan as they begin this stage of their journey. Not so far away is Sam and his daughter Kirstin, they have a huge ranch but not many workers. Sam has scared them all away with his grumpiness, think Scrooge and the Grinch rolled into one plus some. He has been really mean spirited since his wife Annie died about five years ago. He is very protective of his daughter Kirstin and runs off any man who looks at her. So… when Cam shows some interest it is a real challenge to Sam. He is downright rude and before long there is a war going on between Sam and Maddie, who resents his attack on her son Cam. A wall is built, no trespassing notices are put up. Maddie though is hiding a secret that she is keeping from her son Cam and grandson Caleb. Caleb is having a difficult time settling into a new school and so far has no friends. Cam is finding it hard to sell land, all in all things are not going well. However there is romance blossoming between Cam and Kristin. And even though its war for Sam and Maddie, perhaps there is going to be a second chance romance there too. The story was a load of fun. It moved along at a good pace with something happening all the time. I loved Caleb, the young teen who had a heart of gold trying to fit in with his peers. He was thoughtful and so caring especially of his grandmother. While the story does come together at Christmas and is totally heart warming, most of the story takes place before Christmas, so don’t feel you are getting too Christmasy to read this now. It’s a perfect pre Christmas read, that will put you in the spirit for that season when it arrives. Published: Berkley Publishing – Jove. Sissy Sue Bentley has worked hard to make it on her own, and she doesn’t need another man in her life. From her alcoholic father to the men she’s dated, who were after only one thing, they are nothing but trouble. Except Ben keeps showing up whenever she really needs help. Sissy struggles to deny her growing feelings for him—but soon Ben’s tender concern has her hoping for a happier future. Then her past comes barreling back into her life, and it will take more than the love in Ben’s heart to hold them together. 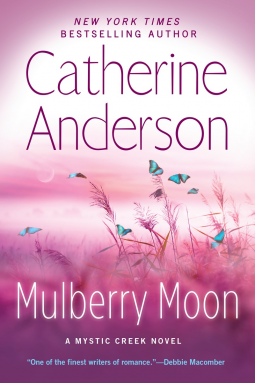 Mulberry Moon was another very enjoyable read from Catherine Anderson. Her small town story, filled with family and supportive towns people, animals and drama, all add up to a very good read. I love the cover of this book and the Indian saying that goes with the mulberry moon. Ben Sterling is the hero of the story and like all other Catherine Anderson heroes, a fine man with values and respect for himself and others. And with a mother that always expects the best of her sons! He turns his hand to helping Sissy who has overloaded herself with chickens and really doesn’t have too much idea about how to care for them. The chicken part of the story is a lot of fun and well actually… very informative. As well Ben has a very trusty puppy named Finnegan who is downright adorable. On the other hand Sissy is without family and setting up a business single handedly in Mystic Creek. She has guts and determination and is beginning to make a success of her small cafe. The people in town like her and are beginning to watch out for her. Her family background is the opposite of Ben’s one. She had the bad luck of an abusive father and a battered, abused mother. Escaping there clutches was the best thing Sissy ever did. It doesn’t take long for Ben to become smitten with Sissy, however although she likes him her background means she is not going to trust easily. But Ben has a plan – wait her out and don’t crowd her. There is plenty of action in the story, it is well paced, peppered with extremely delightful animals and I thoroughly enjoyed it. 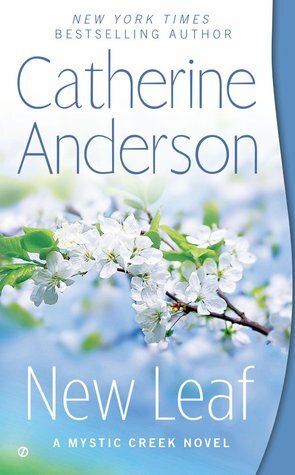 New Leaf is the second book in the Mystic Creek series by Catherine Anderson. However it is easily read as a stand alone book. The connecting link is the Sterling family. This time it is Barney’s turn. He is a local deputy sheriff, and a good man to the bone. In a very amusing opening scene he makes an up close meeting with Taffeta Brown who runs the local health store and lives in a small flat above the store. There is an instant attraction and its not long before Barney is a regular visitor at the store. When Taffy tells him about her daughter from whom she has no legal right to see, and asks for his help in gaining her back – of course Barney is willing. What does Taffy want? She feels if she is married to a very reliable lawman, it will make her case for getting her daughter back. Most of the story is about their life together and their eventual battle to get Sarah, Taffy’s daughter back in her life. The father has been irresponsible and Sarah is something no five year old should be. Fortunately her grandparents on her father’s side have helped out when Sarah’s father failed her big time. This book has all the trademarks of a Catherine Anderson story. Family is at the heart of the story, and sometimes the family you are born into is not necessarily the one that will see you right through life. It’s a warm, love filled story with strong values coming through. Jeb Sterling has no idea that the handwritten messages he finds scattered across his land are the first hints that his life is about to change. Nor does he understand why he feels so compelled to help Amanda Banning and her daughter when a cold snap leaves them temporarily homeless. Maybe he’s inspired by Amanda’s courage or perhaps by her beautiful brown eyes. Either way, the man who once renounced love suddenly finds himself willing to do anything for the pair. Amanda seems to have given up on her dreams, but Jeb refuses to quit until he makes her every wish come true..
Silver Thaw is the first book in a new series by Catherine Anderson set in Mystic Creek, Oregon. Some authors write great small town stories, Catherine Anderson writes great family stories. It’s her specialty. In this book she has written the first in what I hope is another long series like her Kendrick/Coulter/Harrigan series. This story has a very winter setting – which I loved. I know snow and ice can be very dangerous but to me that’s all in the realm of storybooks! Amanda and her delightful little girl Chloe are hiding out in a run down little cottage where they have escaped to – running from a very abusive husband and father. Amanda releases her thoughts into the wind and lets them blow where they will. A new take on a ‘message in a bottle’. Jeb and his neighbour have been finding these notes, so when he is out rescuing people in a severe snowstorm he has an eye out for the writer of these notes. Jeb does find them huddled together and with a series of ‘white lies’ manages to help them out and ensure that they are safe and warm. Jeb is of course a wonderful young man with a fabulous house just waiting to meet the right woman and fill the house with the voices of his children. In the meantime Chloe proves to be a great introduction to what its like to deal with children and she would be horrified to learn that she might be eating one of the chickens she meets in Jeb’s backyard. Chloe also takes over Jeb’s mastiff Bozo, and it looks like Bozo may have taken Chloe under his wing too. Jeb has a wonderful family as well – parents, brothers and sisters who welcome Chloe and Amanda into their fold and are prepared to risk much to keep them safe and relaxed. Of course Jeb’s mother Kate would just love to see Jeb settle down with a woman he loves and she can see Amanda just might be the one. The romance of course develops and while predictable was delightful and delicious. However danger lurks as Amanda’s husband isn’t going to give up easily and he is out there somewhere. There is nothing I love more than a good Catherine Anderson story and this one is very good. Great characters, endearing animals and a plot that moves along with something happening most of the time. A well crafted emotionally satisfying read. Random, Colorado, is just another stop on the road for solitary gunslinger Gabriel Valance. Known for his drinking, gambling, and womanizing, he prefers to remain a stranger to anyone who crosses his path. But when an upstart gunslinger catches Gabe off guard and shoots him down, he regrets his empty, lonely life with his dying breath…. Golden-haired beauty Nancy Hoffman settled in Random after fleeing an abusive past. Caring for her younger sister and working in a hat shop help her to forge ahead, though she remains fearful and mistrustful of men—and marriage…. Their paths will cross when Gabe gets a second chance at life and a divine mission: to sweep Nancy off her feet, gain her trust, and convince her to believe in his love. And in doing so, the once-hardened cowboy may save himself…. Walking on Air is the first book in what may be a series as it is labelled A Valance Family novel. It is a historical novel – with the addition of a little fantasy added in. 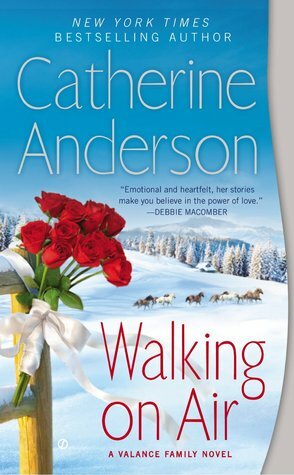 I generally enjoy a Catherine Anderson book, I am not quite sure what it is, but her books have a distinct voice. I find them a satisfyingly comfort read most of the time. A time to get lost in a story and be carried away, with not too much required as a reader to follow heaps of clues! Sometimes her books have a Christian flavor to them, with this book it is more pronounced, and readers who avoid such books would be best to leave this one alone. I can tolerate them when they are well written. I like them to be subtle rather than very overt. This book does go a little beyond what I like, however its Catherine Anderson and I am willing to let that go! Gabe finds himself face to face with his life that lacks love and family in it, helped along somewhat by a couple of angels who send him back from the pearly gates to relive the last month of his life. His mission is to ‘save’ Nan, who is in danger of missing out on love and life, and also riddled by guilt because she believes she killed a man. Gabe can have the choice of saving her, or an old man or a young boy. He chooses the woman – naturally! Nan has a ‘daughter’ Laney, she quickly takes to Gabe and they soon are firm friends. As the story develops there is a dog who is rescued, as well as a young boy and an old man. All very heartwarming and it ends with everything perfectly working out as love rules the day – in a very wide sense. I didn’t fall for this book as much as I wanted to, however it was a great ‘feel good’ book. 1864, Colorado: Born and bred in Boston, Laura Cheney was used to civilised society. She never dreamed she would wind up in Colorado wilderness with her newborn son – widowed and very much alone. But her fragile allure and amber eyes hide a spirit to be reckoned with – and a mother’s fierce protectiveness. When her son is kidnapped, Laura turns to a man feared by many and trusted by few. Raised as a Cheyenne, Deke is considered a renegade to his own kind. But his steely reserve is no match for Laura’s beauty. And to win her trust and devotion Deke will stop at nothing…. Firstly I really enjoy Catherine Anderson’s books, and always expect to like them! As this has been a book that has been long out of print, it was a pleasure to have the opportunity to read one of her earlier works. I liked the main characters very much. Laura is a woman with guts and spirit. When the reader first meets her, she has lost her trust in men, her father was a cold, egocentric man and her husband a poor specimen of mankind. Deke is outwardly tough and at first unwilling to help Laura when she is desperate. However as they begin a journey through a tough countryside, they also begin a journey into letting their walls down. Through many challenges they come to realise what is of value and importance to each of them. I especially found fascinating the time spent in the Cheyenne village. Catherine Anderson says she spent quite a bit of time on research, so I am trusting that the customs she shared were from that era. Life there could be harsh, but also filled with family, love and wisdom. As I read this part I was reminded of Dances With Wolves, and although that movie was about a different tribe, I felt the same sadness for a people who had such little chance against the inexorable movement of the white people in the nineteenth century. This story is a western, it reminded me of some of the Zane Grey novels I read years ago when they were all I could find to read. This story was full of adventure, action, mystery, humour and romance. It spoke of choices – a choice for a hard, difficult way of living or a genteel, wealthy, safe way of living. Boston or Colorado. Safety or love and the values of intimacy and joy in the seemingly simple things in life. Personally I think there were places where the story was a little too drawn out, a bit more editing here and there would have sharpened it up. Still a worthwhile read. Tragedy has struck the Harrigans—Quincy’s beloved sister-in-law Loni is gravely ill and nearing death. Quincy, like his brothers, feels helpless to save her, and the clock is ticking. Then, with perfect timing, a winsome red-haired woman named Ceara O’Ceallaigh mysteriously appears on Quincy’s property and insists that Loni can be cured. Only Quincy, she says, as the sole remaining Harrigan bachelor, can make it happen—by marrying Ceara. Catherine Anderson plays around with this novel and adds some time travel. A little like a Nora Robert’s story where she uses the ‘beyond the real, into another dimension’ style of story. As I enjoy Nora Roberts when she writes with this sense of fun, so I enjoyed this one by Catherine Anderson. Okay, I love all of Anderson’s novels! Whenever I read her books, I get carried away from the world of work and stress. It is a cosy family oriented read with lots of drama along the way. It’s good to catch up with other members of the family and they all certainly pull together in this one. (Quincy is the final brother of the series to become settled down into a family of his own). Do you need to suspend belief of what is possible – of course. A delightful character that enters this story towards the end – Stormy – certainly is going to push your buttons if you aren’t prepared to just take the story as it is revealed. I thought she was a delight and I wish there were going to be more stories about this family just to meet up with her some more. 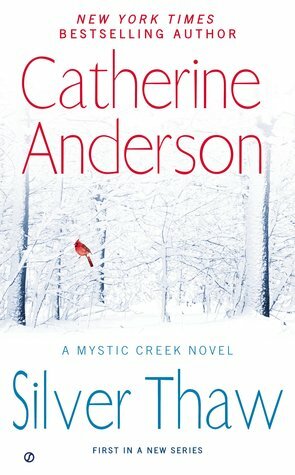 If you like Catherine’s books, I believe you’ll like this one. I have finished this and put it back on the shelf. I intend rereading this whole series again all in one go at some time. I know it will be hours of ‘lost in a book’ time.